In Iraq, he added a bulletproof vest to his gear for a series and documentary on San Antonians who run the biggest hospital in Iraq. He's reported on Texans guarding detainees at Guantanamo Bay, Cuba and helping in relief efforts after the tsunami in Sri Lanka and a hurricane that devastated Honduras. He flew with a medical team into hurricane-ravaged New Orleans, reported from Galveston on Hurricane Ike, and has gone deep into Mexico to look at exactly what drives so many people to cross illegally into the U.S.
Randy Beamer was a National Merit Scholar at Drake University and briefly attended the USC Film School in L.A. 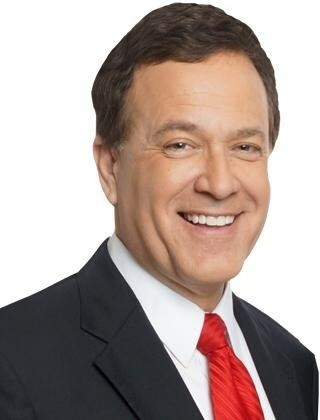 He's won seven Emmy Awards, an Edward R. Murrow Award, top honors from the Texas Associated Press Broadcasters and many other awards over the years for reporting, anchoring, photography and commentary. 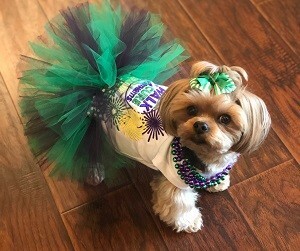 My name is Macy Grace, I am a 10 year old Yorkie, I was born in California but I got to Texas as fast as I could! I love treats, my squeaky toys and when the mail man delivers a package. I just know he is bringing “me” a new dress and I can’t wait to open it! I walked in two walks before when I was 7 and 8 years old for The Alzheimer’s Assoc. when I lived in Dallas, Texas. With a starting goal of $1,000 I exceeded it by over $1,200. In my spare time you can find me at The Forum at Lincoln Heights Senior Living Community with my mom, giving kisses and making people smile. Sometimes I’ll be dancing with residents in happy hour or taking a stroll on someone’s walker. My life couldn't be any better, making people happy is what I do best.